History was made once again at the historic Soo Theatre on the night of Thursday, July 16 at the Switchback Concert: our venue went global with our first live internet broadcast. "A milestone was accomplished on July 16, when we had our first live web concert and chat room on the WayGood website. For those of you who missed it, it was an exciting evening at the Soo Theatre for not only Brian and Marty, but the people in the audience. They were told that they were part of a bigger event with people watching and commenting from Germany to Florida. "Technical difficulties prevented [opening act] the Syzygy boys from being broadcast, but it was a "go" just as Switchback walked onstage. When Marty stopped the concert to announce that we were being broadcast live online all over the world, you could feel the excitement in the theater ratchet up a notch. ...It was a really great night, lots of energy transferred back and forth between the stage, the live audience and the online fans!" We totally agree! If you missed it, check out the archived concert below! Add one part magician to one part comedian, throw in a dash of classic Vegas style, and get ready to experience a great time with Magical Entertainer Keith Stickley! Keith will appear at the Soo Theatre on Saturday, August 1st at 7:30 p.m. Admission is: $12 for adults, $10 in advance; $8 for children, $5 in advance. In 1999 Keith moved to Las Vegas to pursue his career in entertainment and enroll at the University of Nevada, Las Vegas. Throughout college, Keith gained valuable experience performing at local casinos and corporate events. It is during this time Keith started receiving offers to perform overseas. He was soon found in airports around the world on his time off from school bringing his blend of comedy and magic to international audiences! Still in his mid-20’s, Keith has become one of the busiest comedy magicians in the country, performing more than 100 shows per year at some of the largest casino, resort, and outdoor entertainment venues in the country. Influenced heavily by the comedians and magicians of yesteryear, Keith has blended classic effects of magic that haven’t been seen in decades with cutting-edge comedy to create a unique show while making his audience crack up the entire way! Keith’s credits include three tours in Hong Kong, five years as an official magician representing ConAgra (over 200 performances), and many years of experience in outdoor fair/festival entertainment. Keith’s Las Vegas credits include a run at Fitzgerald’s Casino, featured in the revue show Two Girls and a Guy, followed by five months of performances at the Flamingo, Las Vegas. His tours take him to over 50 cities throughout the U.S. annually. Other appearances include concerts featuring the Neville Brothers and The Charlie Daniels Band as well as appearing on TV for the Children’s Miracle Network Telethon. Come on down and prepare to be entertained! Tickets are available at the Soo Theatre Office or at the door. For more information, call the Soo Theatre at (906) 632-1930 or go to our website at sootheatre.org. 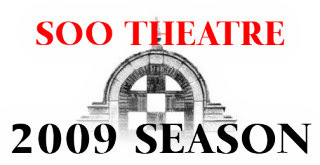 The Soo Theatre is located at 534 Ashmun St., Sault Ste. Marie, Michigan. And the 2009 International Idol is...Danielle Petingalo! The scores are in! The International Idol 09’ Vocal Competition Series is completed! Danielle Petingalo of Kincheloe is this year's International Idol! Week Five went through with three contestants: Corrine Koenemann of Sault Ste. Marie, Payton Mastaw of Sault Ste. Marie, and Danielle Petingalo of Kincheloe. Corrine, Payton, and Danielle were all in close competition with each other. Each managed to have a unique edge to their performance that showed off their personalities well. Their challenge for the fifth week was to perform a song by someone they looked up to that portrayed their best singing and performing skills. This year Lake Street Studio, owned and operated by Soo Theatre’s own Technical Director, Taylor Brugman, donated three studio time prizes. This year the prizes were: third place $100, second place $200, and first place $500 of studio time at Brugman’s Lake Street Studio in Brimley. Judges Dennis Brooks and Gentleman George Snider and MC Mark SanAngelo were ecstatic to announce the three winners. Danielle Petingalo took first place, Corrine Koenemann took second place, and Payton Mastaw took third place. The competition was close for the three contestants but, at the end of the night, Danielle Petingalo came through with the highest scores in pitch, timing, presence, interpretation, originality, and quality. Thanks to everyone for participating in this exciting competition and congratulations to all of the winners! Back row (L-R): Competition Sponsor Jennifer Compo of All Good Soundz, Judge Dennis Brooks, Judge Gentleman George Snider, Master of Ceremonies Mark San Angelo, and Competition Sponsor Taylor Brugman of Lake Street Studio. 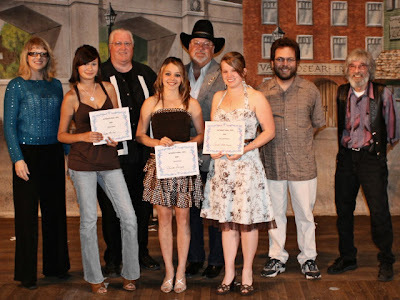 Front row (L-R): International Idol Winners Payton Mastaw (3rd place), Danielle Petingalo (1st place), and Corrine Koenemann (2nd place). Photos in this post are courtesy of Tom Ewing. The Chicago band Switchback will be performing a benefit concert for the Soo Theatre Project at the Soo Theatre on Thursday, July 16th at 7:30pm. Opening for Switchback will be Syzygy, a young energetic acoustic folk/rock band from Northern Michigan that has been playing shows and festivals in Michigan and Canada for the last 5 years. This benefit performance for the Soo Theatre Project is part of the 2009 Soo International Arts Festival. Comprised of Marty McCormack on bass and vocals and Brian Fitzgerald on guitar and vocals, Switchback plays a blend of their own original Americana and Celtic songs, plus a variety of cover tunes from the Beatles, Willie Nelson, Stevie Ray Vaughn, Johnny Cash and more. Switchback has toured the world over the last 12 months, including performances at the Stan Rogers Folk Festival in Halifax, Nova Scotia, Matt Molloy's pub in Westport, County Mayo, Ireland, concerts and wedding in the Netherlands, several shows in Ontario and a Celtic festival in Hawaii. The duo also performed some of their heart stomping original Irish tunes backed by the Northwest Indiana Symphony Orchestra at the Star Plaza Theater in Indiana last year. "No matter what the venue or where the location, we just love sharing our music with folks," said McCormack. One of the high points for the band last year was the award they received from the Irish Music Association. 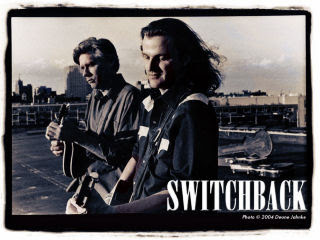 Switchback was named the 2008 Top Duo for festivals, concerts and pubs in the US, Ireland, the EU and the United Kingdom. This was in addition to the many awards they have received over the years for their songwriting, including being selected as one of "Performing Songwriter Magazine’s" top 10 Independent albums of the year for "The Fire That Burns", produced by Grammy-winning producer Lloyd Maines. Switchback has produced ten albums over the last 15 years and they are currently putting in studio time for the next two, due out in the fall of 2009. Tickets for Switchback tickets are on sale now at the Soo Theatre box office, located at 534 Ashmun St. in Sault Ste. Marie. Office hours are Monday through Thursday 10-6 and Friday 10-4. Tickets for this benefit are $12 in advance and $15 at the door on the day of the show. Seniors and students are only $10 in advance or at the door. 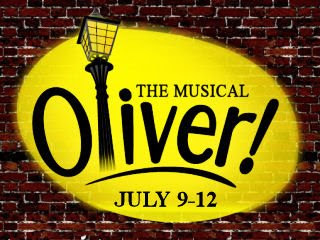 July 9 brings the Soo Theatre’s production of Oliver! The Musical to the stage. Running Thursday through Sunday, this award-winning musical, adapted from the novel Oliver Twist by Charles Dickens, is directed by David Rhinard, with music direction by Karen Hughes and choreography by Dianna George. The cast features over fifty performers of all ages, all from the Eastern Upper Peninsula. An orphan in the harsh world of Victorian England, Oliver dreams of a better life. He meets a variety of thieves and vagabonds who want to bring Oliver into their world. Oliver is befriended by one of them, a boy known as the Artful Dodger, who teaches Oliver how to be a pickpocket and offers him friendship with the song “Consider Yourself.” Dodger gives him a place to sleep in Fagin’s lair. Deep down, Oliver knows what is moral and immoral but he desperately wants a family to call his own. He finds a mother figure in Nancy, the girlfriend of the terrifying Bill Sykes. Nancy and her sister Bet sing about how much fun it is to have a little danger in one’s life in “It’s a Fine Life.” A shift happens on a muggy morning. 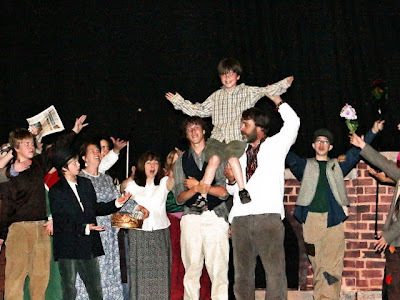 Oliver steals from the wrong man, Mr. Brownlow, who ends up wanting to adopt the boy. He has a strange kinship with Oliver but, with the new thieving friends in his life, Oliver finds it hard to stay with Mr. Brownlow. To provide the experience of acting in a major role to several young actors, the roles of Oliver and the Artful Dodger are double cast. On their alternate nights, the boys play roles in the chorus. Oliver! is a musical for the whole family. Show dates and times are Thursday, Friday, and Saturday nights July 9, 10, and 11 at 7:30 pm, along with a Sunday matinee at 2:00 p.m. on July 12. Come, support, and join in the fun at the Soo Theatre Project. Admission for the Thursday, Friday, and Saturday performances is $18 for adults and $12 for students, seniors, and groups of 15 or more. Sunday’s matinee admission is $15 for adults and $10 for students, seniors, and groups of 15 or more. A family rate for 3 or more tickets purchased per family is also available: $12 for adults and $8 for kids/students. Groups and families must purchase tickets ahead of the show times. Tickets may be purchased at the Soo Theatre Project office. Office hours are Monday through Thursday 10-6 and Friday 10-4. For more information, call (906) 632-1930 or visit the website at www.sootheatre.org. Sundays, June 7 to July 5 at 7:00 p.m. 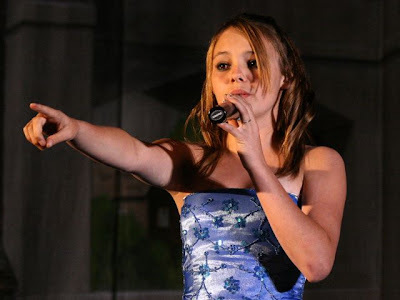 Sponsored by the Soo Theatre Project and Lake Street Studio, this five-week vocal competition, held every Sunday from June 7 to July 5, features the best talent from the region. Admission $5 at the door. Thursday, July 9th through Saturday, July 11th at 7:30 p.m. and Sunday, July 12th at 2:00 p.m. This Tony award-winning musical features local talent from all over the Eastern Upper Peninsula. Admission Thursday to Saturday $18 for adults and $12 for students, seniors, and groups of 15 or more. Sunday matinee $15 for adults and $10 for students, seniors, and groups of 15 or more. Thursday, July 16th at 7:30 p.m. This Celtic music duo perform their original Irish folk songs. Admission $15. Friday, July 17th at 2:00 p.m. Performed by the Elementary Musical Theatre Camp students. Free admission. Friday, July 24th at 7:00 p.m.
Selections from opera and musical theatre performed by summer vocal apprentices of the Soo Opera Theatre. Admission $5 at the door. 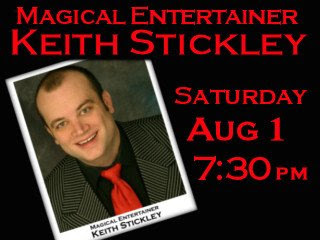 Saturday, August 1st at 7:30 p.m.
Add one part magician to one part comedian, throw in a dash of classic Vegas style and get ready to experience a great time with Magical Entertainer Keith Stickley! Admission $10 for adults and seniors, $5 for children under 12. Thursday and Friday August 6th and 7th at 7:30 p.m. and Sunday, Aug. 9 at 2:00 p.m.
Mozart's comic opera. Would you bet on the fragile and effervescent joys of "summer love?" This romantic comedy explores the mysteries of the heart with the aid of four attractive young lovers, a crafty maidservant, and a jaded man-of-the-world. Admission Thursday and Friday nights $18 for adults, $16 for seniors, and $10 for students. Admission for the Sunday matinee $15 for adults, $13 for seniors, and $8 for students. Friday and Saturday, August 28 and 29 at 7:30 p.m. and Sunday, August 30 at 2:00 p.m.
With music by John Kander, lyrics by Fred Ebb, and book by Fred Ebb and Bob Fosse, this legendary musical is being brought to the Soo Theatre stage by the Eastern Upper Peninsula Fine Arts Council. Thursday, Sept. 3 at 7:30 p.m.
A revue by Michael Dempsey of George Gershwin's Broadway, classical, and popular songs. The Cast of Beatlemania features former members who starred in the Broadway production and have performed in all fifty states and over twenty foreign countries, including Canada, England, Mexico, Brazil, and Japan. They faithfully re-create a live stage show that reproduces the sights and sounds of the original Beatles. Admission $20. Sunday, September 27th at 2:00 p.m.
Rotary's 2nd annual benefit concert for Soo Theatre Project, this show features local talent and includes highlights of the Soo Theatre’s summer season. Admission $10 for adults and $5 for children 12 and under. Friday, Oct. 16 at 7:30 p.m.
New acoustic music. The legendary solo guitarist and one of Canada’s finest new songwriters perform together in concert. Saturday, Oct. 17 at 7:30 p.m. and Midnight. Save the date for a special Cult Classic Film. Stay tuned! For further information, call (906) 632-1930 or visit us on the web at www.sootheatre.org. Come, join, and support the Soo Theatre Project. There's a show for everyone!